out there selling swap meet spaces and checking on any rare Chevy parts that show up. See the swap meet ad on page 24. Congrats also go out to the Kohouts! After a half-century in the Greater Sacramento area, Sacramento Vintage Ford continues to be a strong and iconic symbol of the resilience of Rancho Cordova business owners. This family-operated business has recently been named the 8th Senatorial District’s 2018 Small Business of the Month! 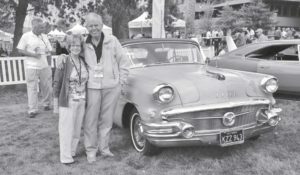 This recognition reflects the value of hard work and enduring passion for vintage Fords that proud owners Darold and Lynn Kohout demonstrate each day. The City of Rancho Cordova is proud and excited to witness the ongoing success of local businesses like Sacramento Vintage Ford, and we congratulate Darold and Lynn Kohout! Ray in Oroville had many buyers calling to buy this rare Chevy Sedan Delivery. He promised it to the first caller and he refused many other calls to buy it. Ray is an old school guy and made the deal to hold the truck for the first caller without getting a deposit … well, that buyer never showed up and Ray did not save the other potential buyers phone numbers, (assuming that he had it sold) so, the Chevy is back up for sale, go to page 41 for all the info. Raduno time is coming up … great cars, delicious food and it’s all free. The Niello Concours Raduno is a gathering of motorcar owners for an evening spent enjoying the art of the automobile. If you are the owner of a motorcar of significance please, feel free to display it so all may enjoy. Your experience will be priceless, admission is Free. 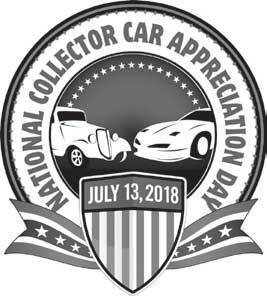 The SEMA Action Network announced that the next Collector Car Appreciation Day (CCAD) will be celebrated July 13. 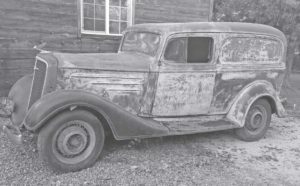 The date will mark the ninth consecutive commemoration in what is now an annual event to raise awareness of the vital role automotive restoration and collection plays in American society. Intended to celebrate the classics of the past and the future, the U.S. Senate helped launch CCAD by passing Resolutions each year since 2010 at the SAN’s request. In preparation for the ninth celebration of the nation’s automotive heritage, enthusiasts and related businesses are already planning open houses, car cruises, club gatherings and educational events to commemorate the day. For questions, contact SAN Director Colby Martin at 909-978-6721 or san@sema.org. MEAN MACHINES says goodbye to the Taqueria. For almost 5 years, Rudy Aldama, owner of the Taqueria El Festival on Folsom Blvd., has given the MMCC a home to host their free Friday night car shows. Rudy is now closing the doors to pursue bigger and better things. The President of MMCC, Scott Perkins and the Queen of MEAN (Machines), Karen Perkins, are sad to see the Taqueria close. The Taqueria hosted bi-weekly car shows and two (2) major fundraisers a year. The last show at the Taqueria will be on Friday, May 4th, from 4-8pm. Let’s give the Taqueria a great send off. 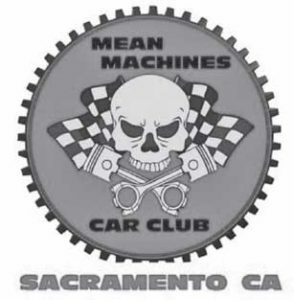 MMCC will still be hosting a free car show at the Brookside Winery, 9819 Horn Rd., off HWY 50 and Bradshaw Rd., in Sacramento on the 3rd Friday of each month. 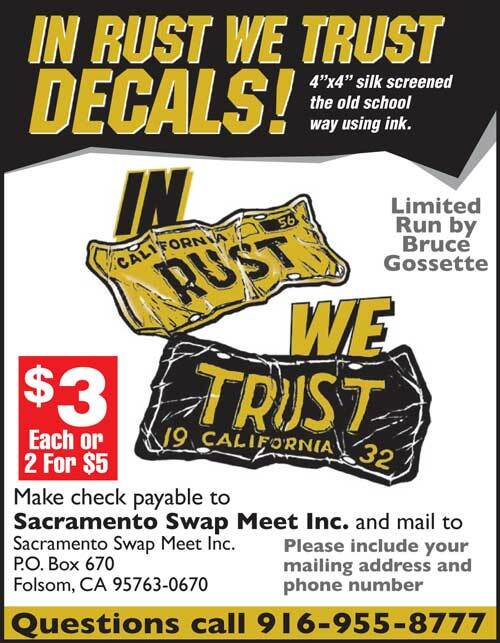 September Swap Meet date for the Sacramento Classic Car and Parts Swap Meet? As of press time we are still trying to clear a date at Cal Expo … stay tuned. I’m finishing up my May 2018 column just before the April 21st Swap Meet … we’re very excited as we have “assigned swap meet spaces” for the first time since moving the swap meet from Reno to Sacramento in 2008. The weather looks good for Saturday, but I think that I’ve created a “Perfect Storm” for myself … The May Cruisin’ News issue print deadline, the Swap Meet set up and Tax deadline all happening same week … its been a real challenge.